After you all have cast your votes at your local polling place, here is a fun chance to support some "local candidates" with some quilty votes! AnneMarie and Dana (and let me know if anyone else does and I missed it!) both have quilts nominated in the Bloggers Quilt Festival, which is a fun, huge on-line quilt event that happens twice per year. 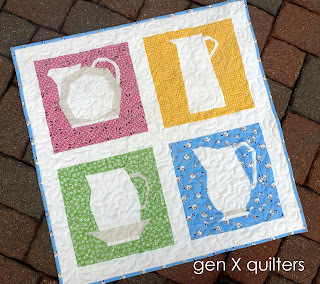 AnneMarie's fun quilt (which is available as a pattern) is up in the "Wall Hanging" category. Dana's quilt is in the "Bed Quilt" category. 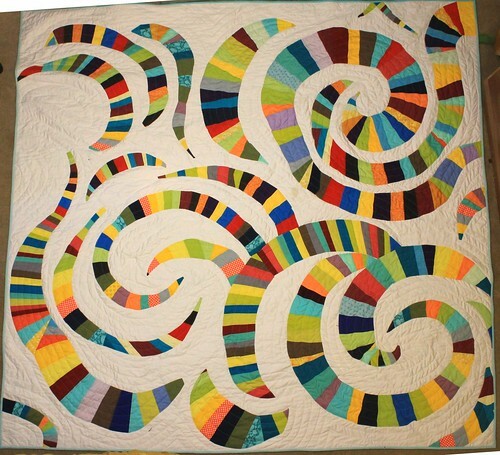 There are many other fabulous modern quilts up! Go here to vote! Voting ends November 8th. And if looking at all those amazing quilts inspires you to get sewing, Abbe has recommended this handy fat quarter chart - enjoy! Thanks for the shout out! Dana, your quilt looks amazing!